Our letter to you during the holy season of Lent will be brief—and only to lend a little encouragement to persevere with prayerful peace in your Lenten observance. And this Lent, we must direct our prayers and sacrifices to the urgent need of the Church for the election of a wise and holy pope. Spiritual reading is so important during Lent, since we all need instruction and guidance to enrich our life with God. Our Lenten books offer you special insights into the spiritual life during this season. 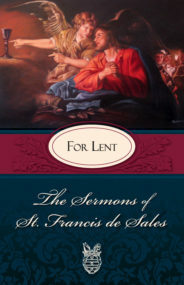 Two new books on our site include The Sermons of St. Francis de Sales for Lent and The Our Father in Gethsemane. According to St. Thomas Aquinas, Our Lord Jesus Christ took upon Himself the greatest sorrow that He might atone for the sins of all men. 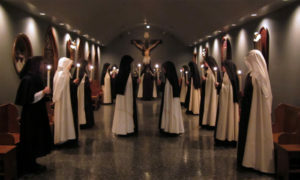 “That sorrow,” writes the Dominican, Father A. M. Crofts, “was in part caused by the anguish of physical pain and death, but had still deeper root in His soul which accepted responsibility in the sight of His Father for the guilt of mankind.” All ye that pass by the way, attend and see if there be any sorrow like unto my sorrow (Lam.1:12). Father Crofts continues: St. Thomas again gives two reasons why this sorrow of the Savior exceeded that of all contrite human hearts. First of all, by reason of His greater wisdom and charity, He saw at once the enormity of sin and how grievously it offended God, Who called man into being, because He is love. Secondly, because His sorrow was not successive, nor confined to the sin of any one person. He sorrowed in the hour of His sacred Passion simultaneously for all men from the beginning until the end of time. Such a sorrow could only find its complete and satisfying expression in the total sacrifice of Himself as a holocaust to God by way of reparation. He declared to His Apostles, who were quick to notice the external signs of that grief on His countenance, that it alone was sufficient to cause His death. “My soul,” He said, “is sorrowful even unto death” (Matt. 26:38). May that sorrow of our Savior break our hearts—and convert them, accomplishing all that the Lord wills in each of our souls. 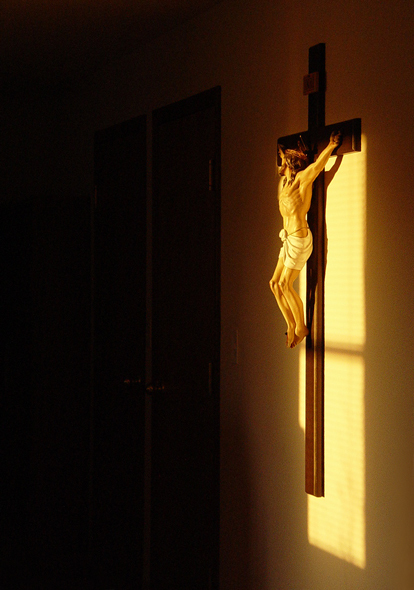 God grant that the precious wounds of our crucified Lord heal the wounds of our souls. And as we look forward to the joy of Easter, let us recall the words Our Lord Jesus spoke that very day of His victorious resurrection: “Did not the Christ have to suffer these things before entering into his glory?” As the Master, so the disciples!